The NCAA season is indeed over as Minnesota-Duluth, the last team in the NCAA tournament edged out Notre Dame 2-1 for the program's second National Championship since 2011. However the game was overshadowed by the events that happened in Saskatchewan, Canada with the bus accident of the Homboldt Broncos of the SJHL as they were on there way to a playoff game. 15 people were killed in the tragedy. A Go Fund Me page has been set up and has raised over five million dollars in two days. Here is the link if you wish to donate. A bunch of Quinnipiac commits were in action over the past week so let's take a look at how some of them did. 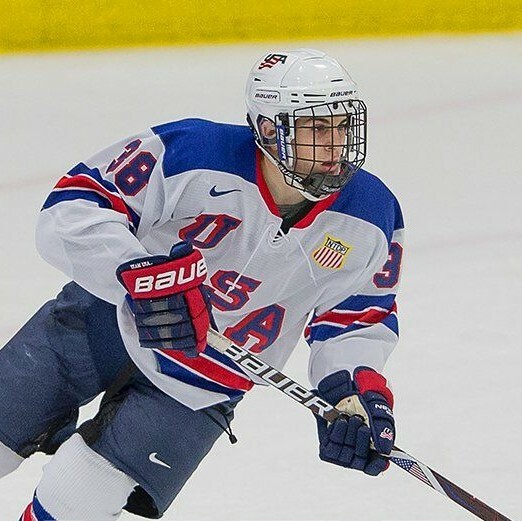 Dom Fensore potted two assists in two games played for the US U-17 team in USHL play over the week. The Thornwood, NY native has had a very respectable season in the USHL with 17 points (1 goal, 16 assists) in 33 games played. In 88 total games between tournaments, the USHL and other games he has 50 points (3 goals, 47 assists). William Fallstrom picked up a lone assist in two games played for the Fargo Force. On the season in 56 games played, he has 44 points (14 goals, 30assists) with a plus 14 rating. Justin Robbins went 1-1 with 4.07 goals against average and an .895 save percentage for the Chicago Steel. On the season, Robbins is 8-9 with a 4.05 goals against average and an .874 save percentage in 24 games played with one shutout. Ethan De Jong had four assists in three games played as Prince George eliminated Powell River in five games to move to the BCHL championship series against the Wenatchee Wild. De Jong is tied for second in postseason scoring with 22 points (10 goals, 12 assists) in 19 games played. Prince George begins the best-of-7 series at Wenatchee on Friday where De Jong will face fellow Quinnipiac commit Nick Kent who plays for the Wild. Marcus Chorney's junior career ended with a bang. He finished his last two games with two goals and one assist. He potted the two goals in the final game of the season for Amarillo. He ended the season on a five game point streak and finished the year with 29 points (7 goals, 22 assists) in 60 games played. The season is over for Matt Cassidy of the Brooks Bandits. His team fell in six games in the semifinal series. Over the past week Cassidy had just a single assist in four games played and had 4 points (1 goal, 3 assists) in 13 playoff games. Its unknown at this time if Cassidy will be heading to Hamden for this season or the 2019-2020 season. Jack Silich saw his season come to an end at USA Nationals for the Chicago Mission in the Tier-I 14U tournament. The Mission went 1-2 in pool play while Silich had two goals in three games played. He finished a strong season with 97 points (37 goals, 60 assists) in 76 games played. He averaged 1.27 points per game on the season. Victor Czerneckianair season for the South Kent School U-15 team ended with an overtime loss in the quarterfinals of the 15U only tournament at USA Nationals to the Chicago Mission. He had a goal and an assist in four tournament games and finished the season with 76 points (34 goals, 42 assists) in 55 games played. 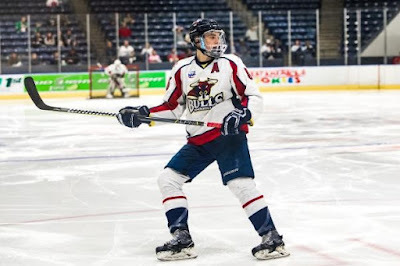 Quinnipiac's two commits on the South Kents U-16 team also saw their season come to an end in the quarterfinals at USA Nationals in a 6-1 loss to Team Wisconsin. Ethan Phillips had a quiet tournament with only one goal but it was of the highlight reel variety. Here is the link to video of the goal. He finished the season with 69 points (32 goals, 37 assists) in 49 games played. His teammate P.J. Fletcher finished tournament with two assists in four games played. On the season he had 57 points (25 goals, 32 assists) in 41 games played. Corey Clifton had two assists for the North Jersey Avalanche as they fell in the 18U USA Hockey Nationals quarterfinals in overtime to the Cape Cod Whalers. Clifton is expected to head to juniors for the next season or two before heading to Quinnipiac. He also played for the Muskegon Lumberjacks at one point this season. Peter Diliberatore had a strong tournament at USA Nationals for the Yale Bulldogs National 18U team. In four games played he had 4 points (2 goals, 2 assists). While it has yet to be confirmed officially, two sources have told me that Diliberatore will in fact be a true freshman at Quinnipiac next season.